Have just ordered the T420s version. About to order a B140HAN01.3. Stay tuned.. I just bought and installed 1080p IPS combo - screen and a conversion board from AliExpress (cheaper, than advertised by OP). I didn't fully assemble my T430, yet, just connected display and keyboard, but already want to share my WOW! No flickering, no tearing, everything is flawless. Btw, what is light bleeding? How it looks like? Anyhow, some funny moments: 1. The conversion board was lying on top of the small plastic bag, where it supposed to be inside (guys were really in a hurry packing it). 3. What are those 4x white washers? 4. No any mounting adhesive or whatever things in the parcel - how I need to attach the conversion board? Just buy some adhesive tape in the store? But if they put only those washers, they might be important... How to use them? I tried placing the board behind the screen like so many others have done, but that(as for others) created a lot of stress on the lcd and caused light bleeding. So, since my wires are long enough, I moved the converter board to the left of the cpu. I had to pull and repaste the heat sink to fit it under that corner of the chassis, but it was completely worth it. I rolled 2 pieces of electrical tape to support the board and lift it away from the motherboard. It’s hard to explain exactly. I took pictures, but haven’t gotten around to uploading them. 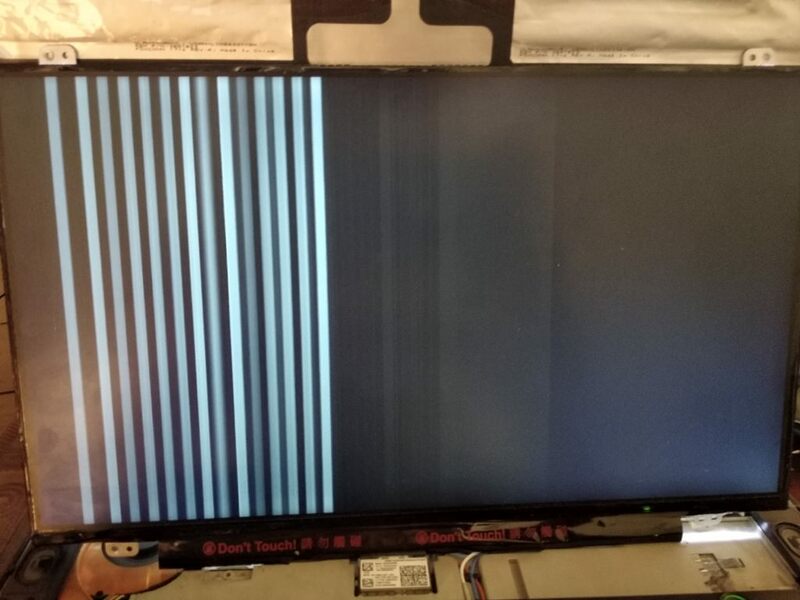 Light bleeding is what you get along the edge (usually) of an lcd. It is especially noticeable when the screen is black, but lit. Excessive white light will show up almost like someone is shining a tiny flashlight along the edge of the panel. It’s annoying, especially when you spend so much money and time trying to get a good lcd. I understand I will be able to find guides and tutorials on the forums, but just want to make sure that I know what it is that I'm aiming for. You would need to get the version for T420s and T430s, not the T420 and T430 version. With a T430s you can upgrade to WQHD with an RMSMajestic kit. Here another one who bought and sucessfully installed a kit from EvanJoo in a T420s. No flickering or other problens so far. Only i notice in tpfancontrol a pci temp. a little higher than usual (around 50-60°C). I used a theoretically original AUO B140HAN01.3. It was, theoretically, a original Lenovo replacement part from a trusted seller with S/N in invoice, but there are tons of fake panels out there. The FHD screen is OK after calibration, but before calibration it seems a little greenish to my eyes. But, in any case, it's a HUGE improvement compared with the crappy original Samsung TN panel. I just bought and installed 1080p IPS combo - screen and a conversion board from AliExpress (cheaper, than advertised by OP). I didn't fully assemble my T430, yet, just connected display and keyboard, but already want to share my WOW! No flickering, no tearing, everything is flawless. So far, screen works great and pleasing my eyes greatly. Btw, I bought a kit from here https://www.aliexpress.com/item/SANITER ... 2e32995b6a. Cheaper than from other sellers and delivered in a week time with proper courier service to my doors from China to Dubai. They are indeed used to raise the LCD from the LCD kit circuit board. By putting one washer on top of each of the 4 screw holes and then placing the screen on top of that and screwing the screws in, the screen will be lifted a couple of millimeters from the back casing. This will reduce the problem with the LCD kit circuit board poking the back side of the screen. I have received my kit and will install it later this week. I will add some photos of the installation process here when I'm done. Thank you very much for your letter and advice. The longer cable of the kit for the t430s can work with this item, but as the cable are so a little bigger that they are not putting under the keyboard. We try to cut some GND cables to Make them thin and thin, so that to put them to under the keyboard. But there is another problem is that The signal are easily disturbed,and some time the the screen can not see . So we do not cut the GND cables to make it thin. But send with the plastic washer for people install the screen. Hope for your understanding. Success! (T420s) The display is now gorgeous and the viewing angles are great!. Crystal clear, no dead pixels. I contacted the seller before ordering, who confirmed the unit was an B140HAN01.3 by AUO. I didn't use the included washers/spacers as they caused too much pressure to be applied to the LCD causing excess light bleed. 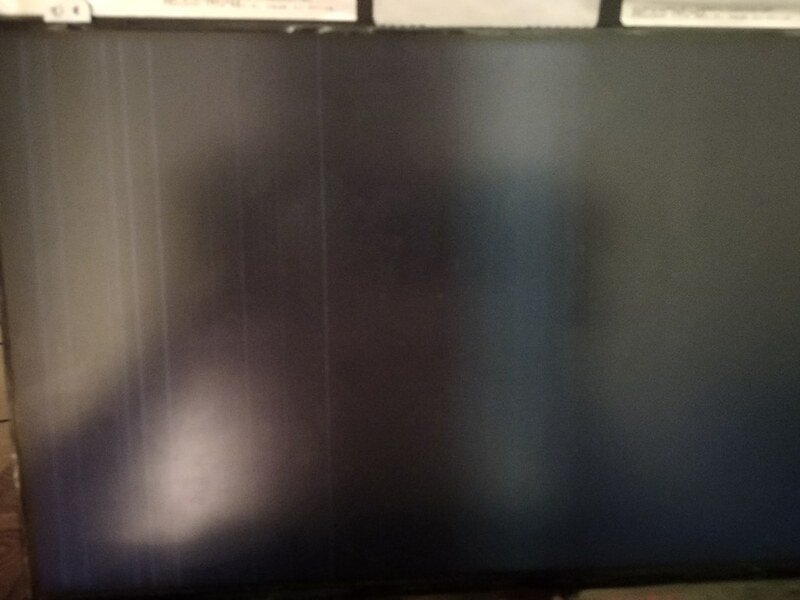 There is minimal light bleed now, only visible on very dark/black screen. I placed the video controller board on the motherboard under the keyboard as per the pic in the ebay link above. Here are some pictures from my installation. Overall I'm pleased with the new display although it suffers quite a bit from backlight bleeding. I will attempt to attach the LCD circuit board to different locations to see if the backlight bleed can be reduced. Last edited by dalmannen on Fri Sep 21, 2018 5:21 am, edited 1 time in total. Those are crap pictures from a Google account that nobody has permission to see. Google just wants to spy on everybody, just like Micro$haft and its ilk. If I were dalmannen I would upload those pictures to the likes of www.imgur.com and then just post links to them here. And then I'd stop using GoogleDocs or GoogleDrive or whatever they call it. That is a nice looking upgrade screen! What is it like for viewing within windows or MacOS? What are viewing angles like? I read this thread carefully because I have been looking for some time a kit for a T430. I came across this thread and apparently the kits sold on ebay or aliexpress are clones of the RMSMajestic kit. RMSMajestic have you released a new kit or do you have to be satisfied with clones? As a purchaser of the converter board kit sold on Ebay by E-qstore, and the one who initially raised the question about clones in this topic, I am completely satisfied by the performance of the board in my T420. 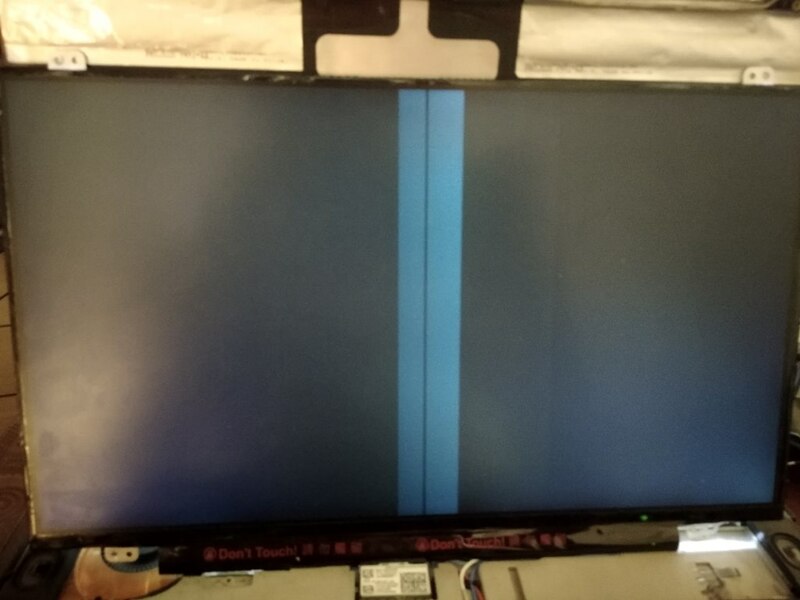 Edit: Today I turned on my T420 and there was a faint green column (about four inches wide) in the middle of the screen. Sort of like a grid. Have never seen this before. Rebooted, still there. Then I removed the LCD panel screws and double checked the connections at the cables and made sure each cable was fully pushed into the connector. They have tape over them so they connector shouldn't come out but who knows. When I replaced the panel and rebooted, the green column was gone. I spoke with the seller of the board and he says the conversion board is programmed to display AOU 1.2 whatever is connected to it. So the 1.3 panel can be genuine and should be treated as a 1.3 for color accuracy. a. as for the T420s/T430s kits, it's a straight forward copycat. You can compare the firmware and the circuit and there'd be absolutely no difference. I can ask javi-jie to make a step-down kits that can take cheaper FHD panels at any time, but those clones cannot do the same. b. for the non-s T420 T430 kits, according to Javi-Jie, the solution of clones will alleviate, but not completely resolve the problem. He made that conclusion based on his knowledge on technology. But from a business perspective a 5%-10% or 20% failure rate might be acceptable, and javi-jie was, and still are looking from a technology perspective. c. One of the reasons for me to sell those WQHD kits, is to squeeze the market space for copycats. I also had the intention to push forward the cost-down version of T420s FHD kits. But changes in our lives stopped that from happening, as well as the lowering skill base of buyers and also the number of fake panels out there. d. Since we are not producing the FHD kits anymore, there'd be little moral burden for purchasing a clone. But we will not respond to any msgs reagrding the T420s FHD kits. Okay, so no fix for those of us (myself included) with FHD kits for the T420 that flicker?? Javi-Jie was close to a solution using soft PCB, but as you guessed the cost is pretty high, even higher than the WQHD kits. I think I have send you a refund back then? From 2018-09-18, the controller board kit is updated, it can be install under the keypad. The new kit's cables are not compatible with the Previous version, Please note that . The allows placing the converter board to the right of the CPU under the keyboard, rather than behind the LCD panel. Not sure if you get the longer cable if you buy from Ali-Express. I replaced my FHD panel because I was getting a four or five inch wide band of discoloration in the center of the screen. Sometimes I could reseat the cables and the band would go away. But then it started appearing more frequently so I replaced the LCD with with a different panel and things are OK now. I wonder if the malfunction was related to mounting the converter board behind the LCD, and if this additional pressure on the panel caused the panel to go bad. So now I mounted the converter board on top of the fan, as mentioned by another user. It's unfortunate the new kit's cables are not compatible with the previous version. Everything worked great, until I dropped my T430 from the height of my waist on the concrete floor. After that my screen shows only vertical white stripes (pics below). I've disconnected and reconnected conversion board and display, but that didn't help. So, I connected my old TN panel and it's working (at least nothing wrong with graphic card or motherboard). Now I need to order new display or new conversion kit, as I can't look at old TN panel anymore without eye bleeding. Guys, please, advise, does it look like display is damaged or conversion board? Visually I can't see any damages to the display or conversion board. I'd say the LCD is gone. But check inside the lid and on that PCB, if the LCD-cable is still properly connected on both sides. And maybe find someone with a spare FHD screen or a T440/T450 that has IPS FHD. You might be able to try that LCD or the complete lid on your machine (should be the same cable connector). If that works OK, then you definitely just need a new LCD. I think LCD is the more volatile part especially if the shock hit the back of the LCD if the conversion board is behind it. Thank you, guys. Unfortunately, I don't have anyone with spare FHD to verify. So, I'll just order new FHD panel. In worst case I will have spare one, heh. Another strange thing I noticed. So, I switched to my old TN LCD, but the the screen is very dim - it's on maximum in Windows, but still it's very dim, indoors it's kind of ok, but outdoors I can't see nothing on the screen. Can it be something wrong with other parts of the laptop, which can affect screen brightness, after the drop? Ok, disregard that question of mine. It's just some anti-placebo effect. I realized that old TN LCD was always like that, heh. I guess I'll ask this here. Just FYI I have one of the T430 kits (the older one, with the board behind the display), and it works flawlessly with a B140HAN01.2 other than some light bleed from the board being behind the display (which I don't care). But I'm curious - do these T430 kits work with B140HAN01.8? If not, why not? I would assume B140HAN01.8 is just version 8 of the screen ... I would assume the connectors/electrical signals are all the same, and I assume they wouldn't change it mechanically either?